XSories has a great reputation for producing neat products that become almost indispensable to photographers. 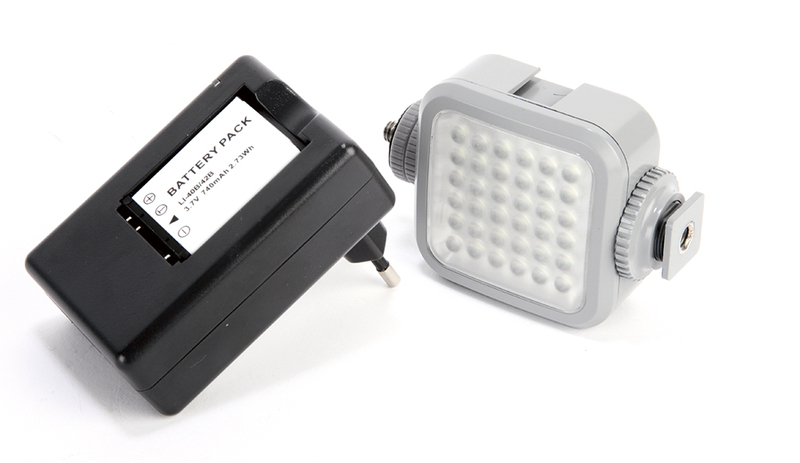 This 36-LED video-light array features a rechargeable Lithium-ion battery and, when tested in-studio, easily achieved its quoted 180-lux output at 1m. With multiple hotshoe mounts and a universal screw thread, it can be banked together with other units to form a larger array or adapted to any camera with a hotshoe. It does bear an uncanny resemblance, both in size and appearance, to many sports camcorders and can be paired with a GoPro on a selfie stick, without adding appreciably to the weight. If you’re looking to extend and exploit the video capabilities of your camera beyond daylight hours, then the XShine is good for close-range subjects and small groups of people. With the moderately diffuse panel, the direct light quality is perfectly acceptable. While our test sample battery charger had only an EU plug, we’d expect it to be sold with a UK version, although it wasn’t immediately obvious how the battery was meant to fit. The plastic casing is robust enough for general use, but the array screen picks up scratches easily, making careful storage in the kit bag a necessity.